The current sugar debate is a little above my current pay grade as a food blogger. Arguably it’s above that of the hundreds of nutrition ‘experts’ with little more concrete qualification than I have to tell you what to eat as well, but let’s save that conversation for another day. I don’t know if copious quantities of dates are broken down in a significantly different way inside your body from a similar amount of soft brown sugar, but I like to think the extra fibre, potassium and potential anti-inflammatory properties of this sweet little ingredient mean they’re a slightly better bet when baking with my toddler. That’s the line we’re going for today anyway. So these flapjacks are entirely ‘refined sugar free’, if that’s your bag. 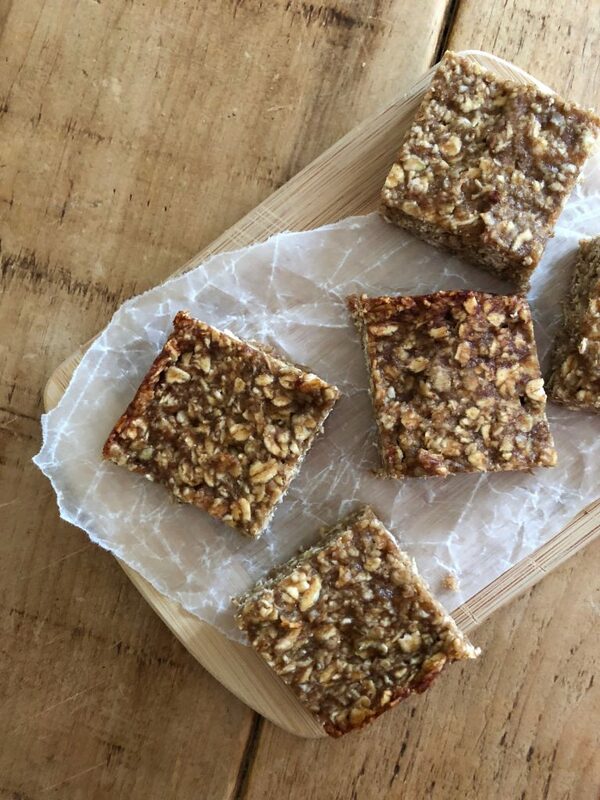 Dates are blitzed with banana and – pick your favourite fat of the moment – butter or coconut oil, before being stirred through a mixture of oats, quinoa and buckwheat flakes. For my money, butter gives a better flavour, the coconut oil a slightly more satisfying texture. 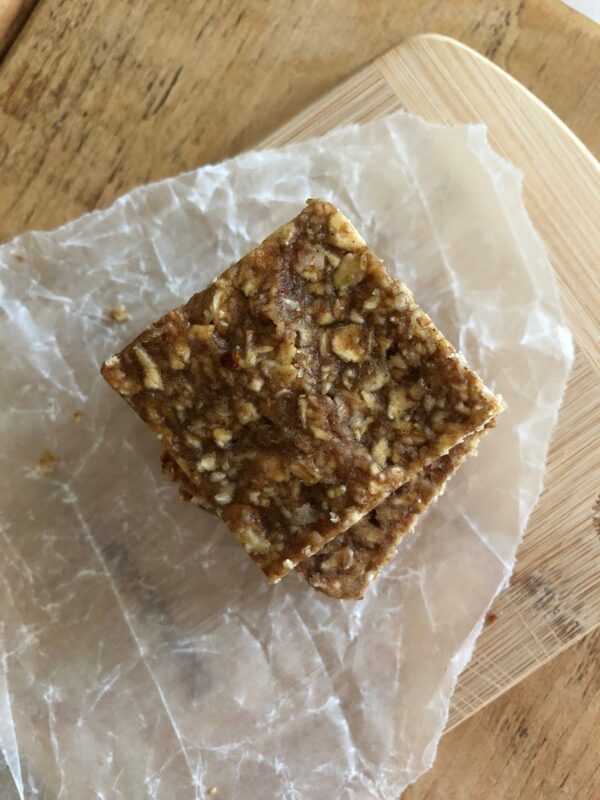 They’re plenty sweet enough, but throw in a handful of dried fruit if you fancy, or nuts for crunch (chopped finely if baking for very small people). A drizzle of chocolate on top would never go amiss. 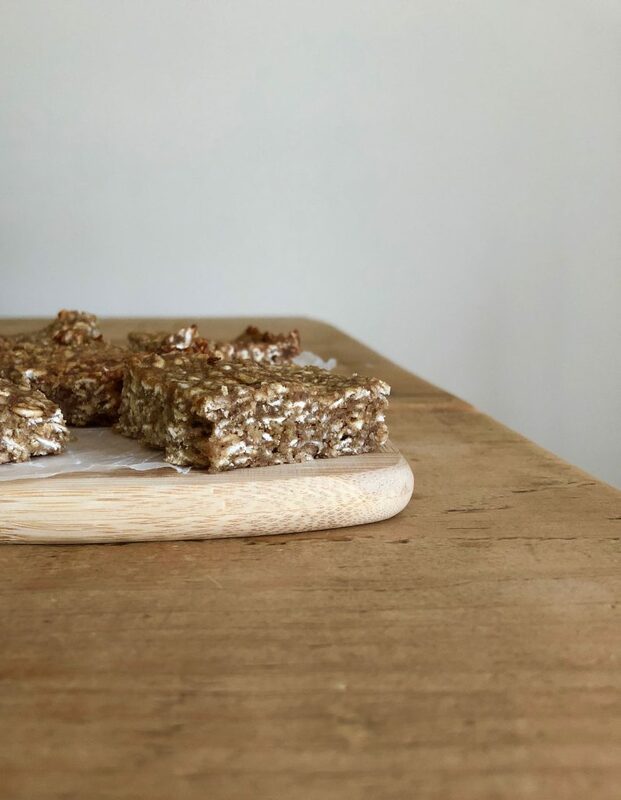 The end result is a soft, tender flapjack, not as unctuous or crispy-edged as the flapjacks you might know, but utterly delicious in its own right and both adult and toddler approved. 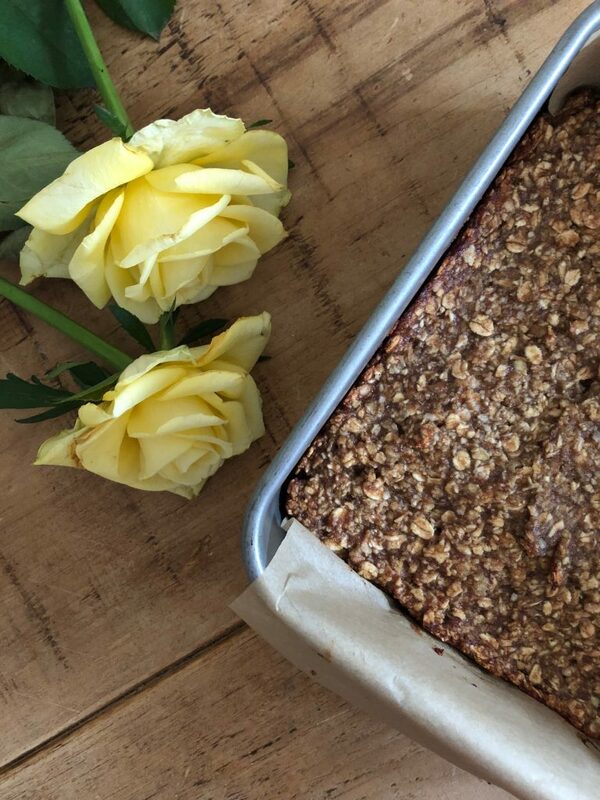 These soft baked flapjacks are sweetened with dates and banana, and packed with wholesome oats, buckwheat and quinoa, making them the perfect healthy treat for grown ups and children alike. Preheat the oven to 180 C/160 C fan. Lightly grease a 20cm square baking tin with coconut oil and line with baking parchment. Blitz the dates, banana, coconut oil, water and vanilla in a blender until smooth. In a separate bowl, whisk together the oats, buckwheat, quinoa and baking powder. Stir the dry ingredients into the wet until well combined then transfer to your prepared tin. Bake for 20 - 25 minutes until golden round the edges and firm in the middle. Remove from the oven and allow to cool completely before cutting into squares. 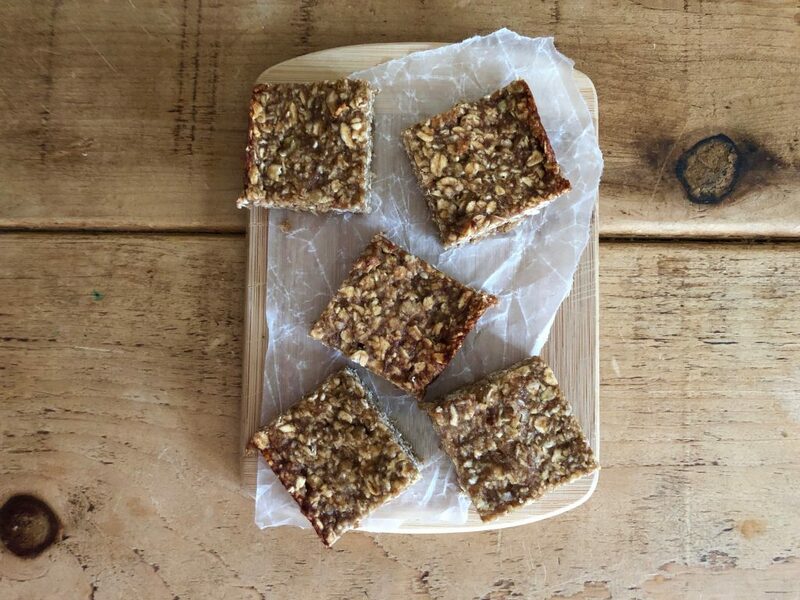 These flapjacks keep in an airtight container for 2 - 3 days and also freeze well. What is nutritional content, and calorie count? Roughly it’s 120 calories per square, 3.6g fat, 20.7g carbs, 2.7g protein. Enjoy! these look amazing!! A real family favourite, I’m sure. Kate these are absolutely perfect! Thank you so much for sharing. Absolutely delicious, the perfect vegan treat! Hi, step 2 mentions baking powder but you don’t have it listed in the list of ingredients. How much do you add?